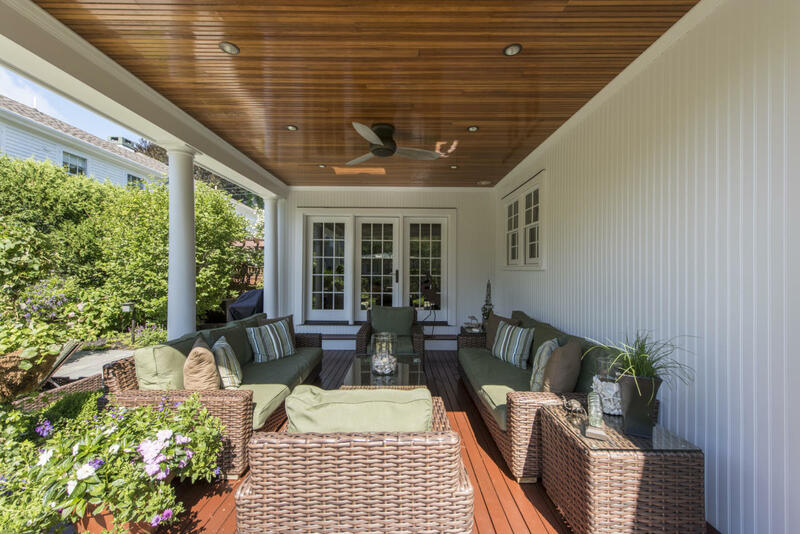 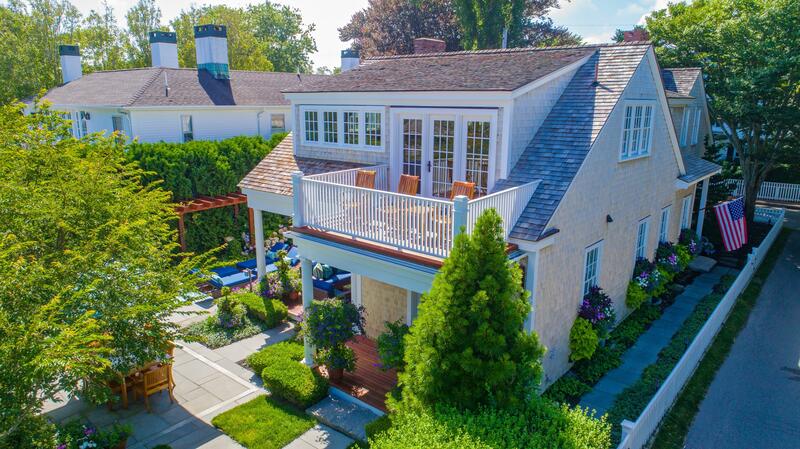 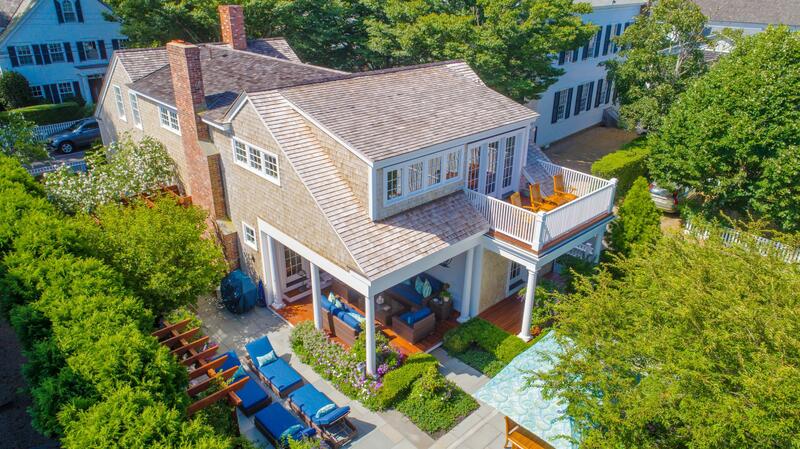 Located just 2 blocks from Main Street, lies this classic Cape style residence. 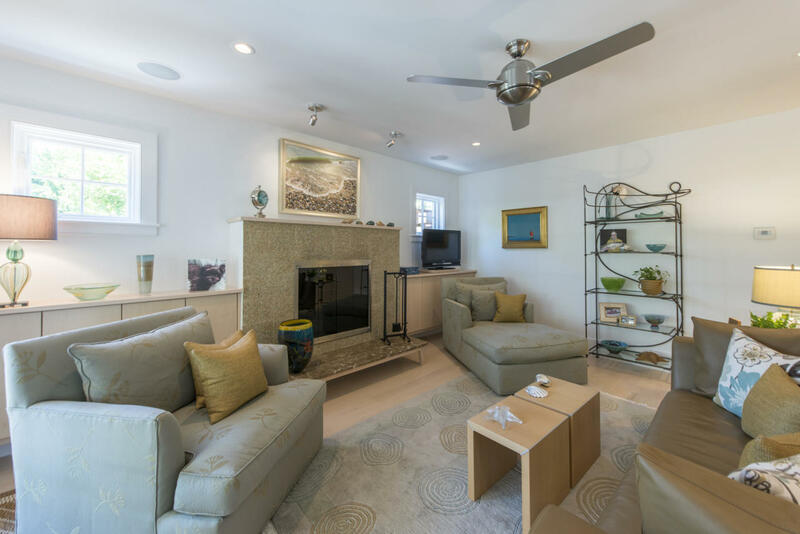 The 1st floor offers a entertainment area with kitchen, fireplace and French doors leading to the covered porch. 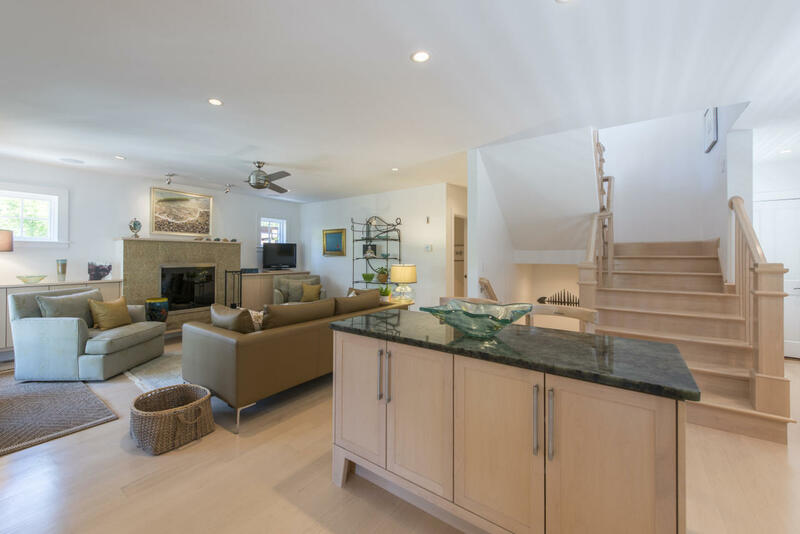 There are also 3-bedrooms and 2.5 baths on this level. 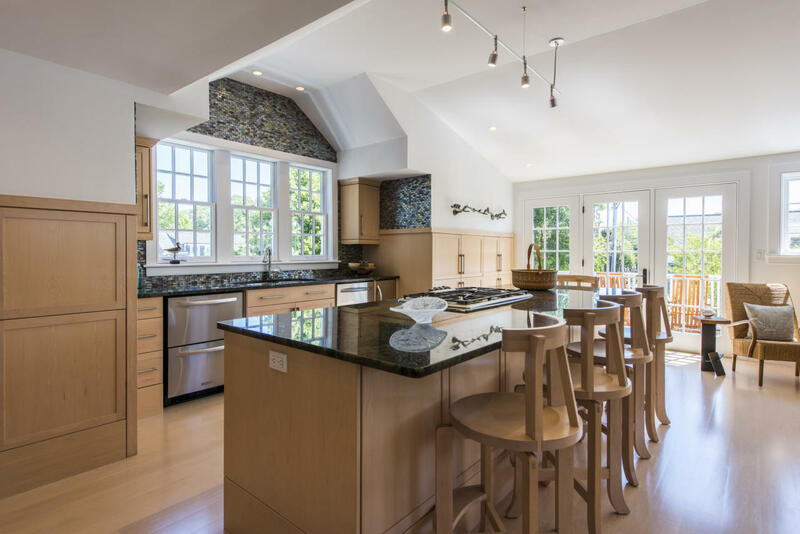 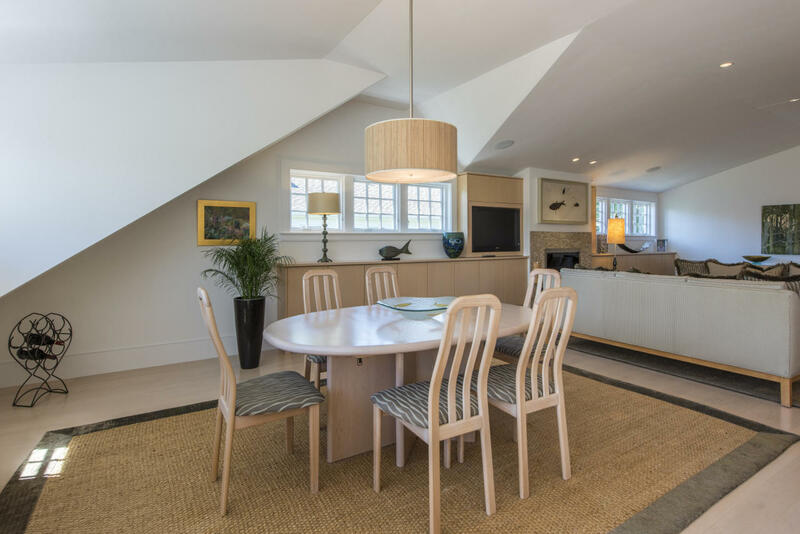 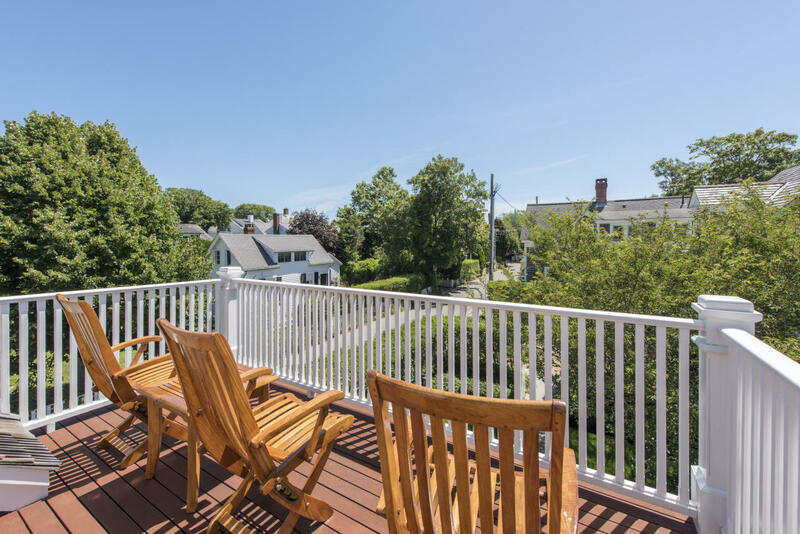 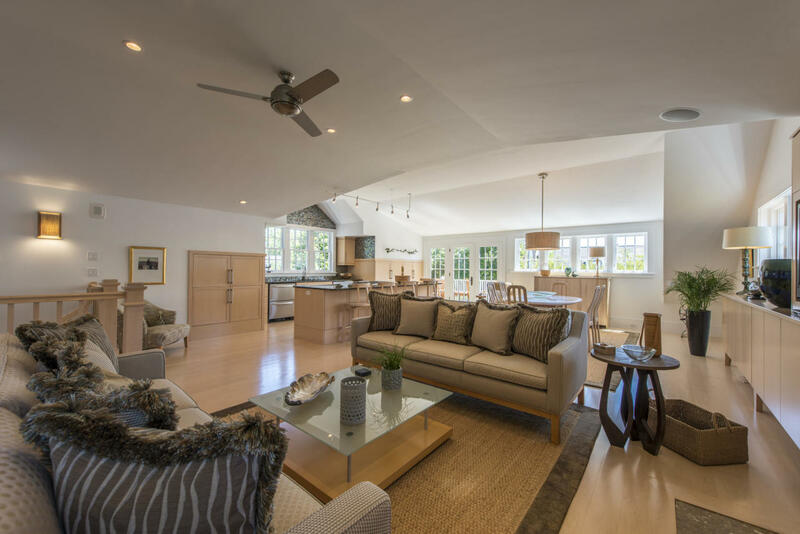 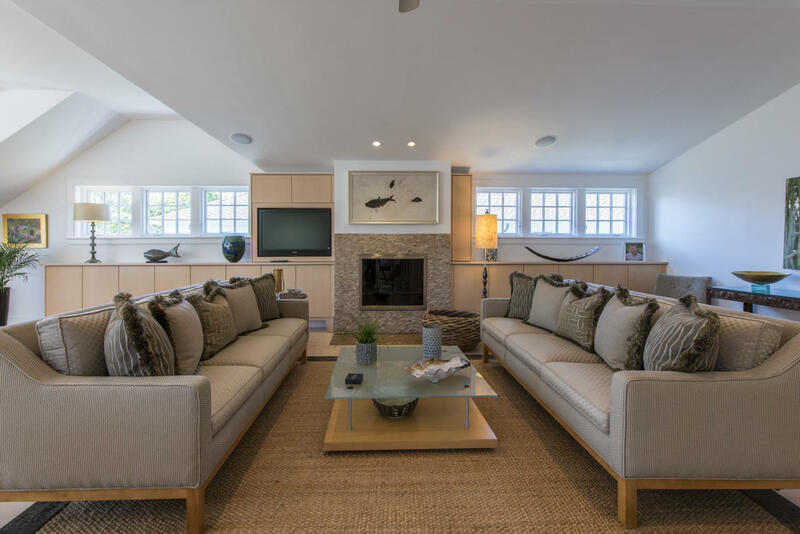 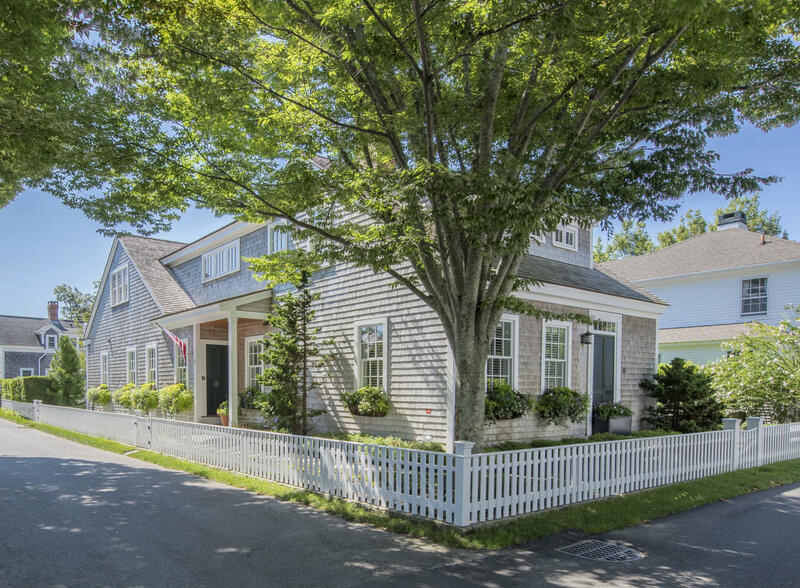 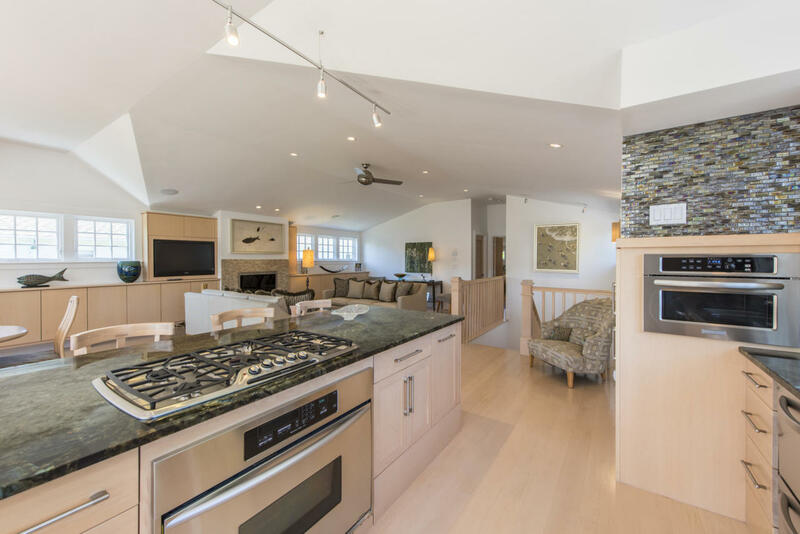 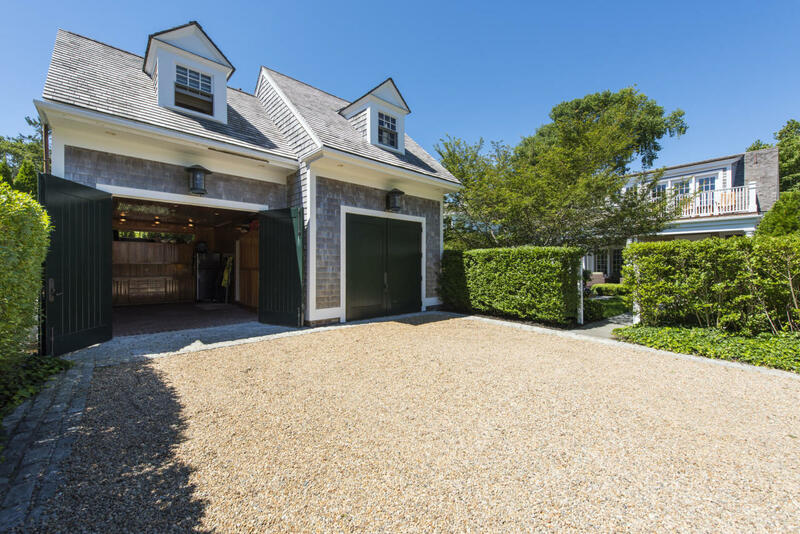 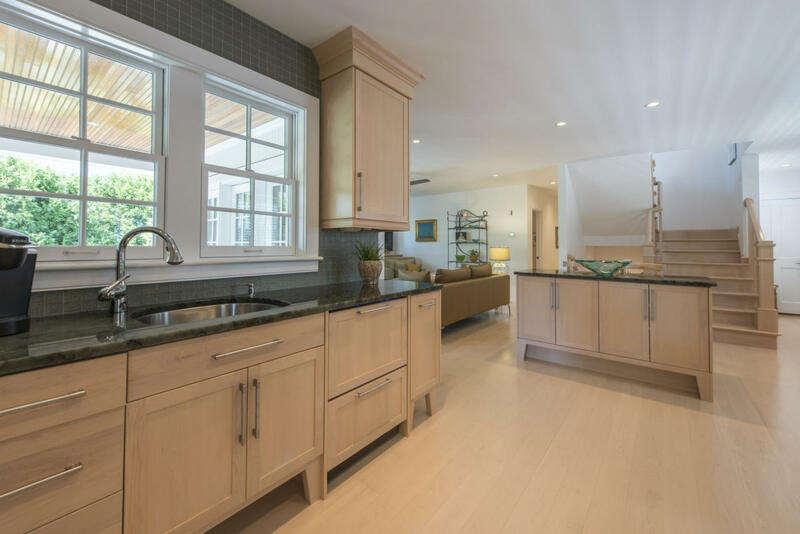 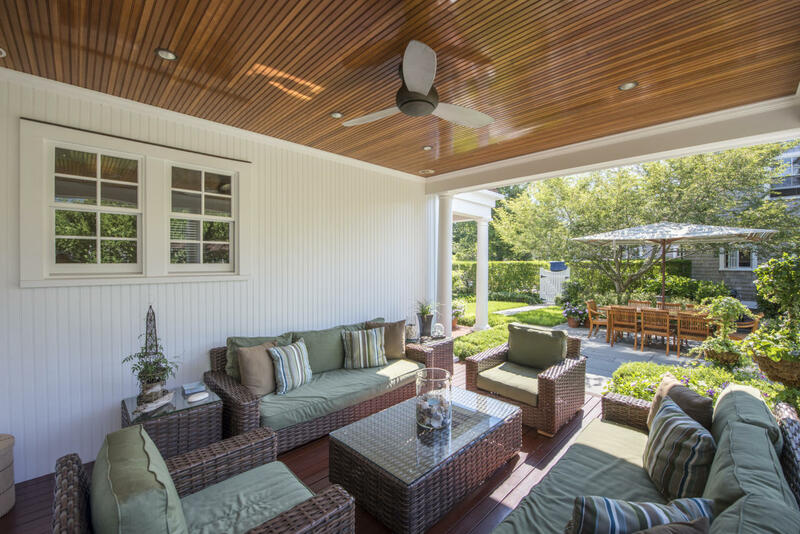 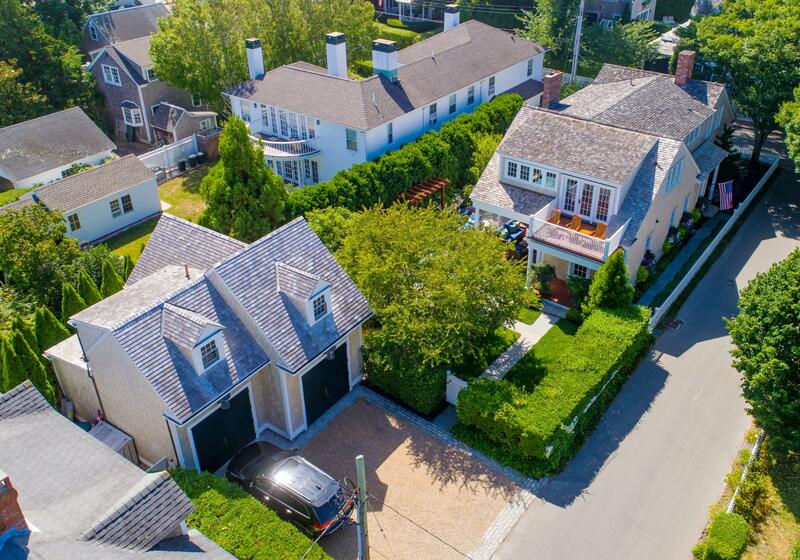 The 2nd floor offers a large family room with fireplace, kitchen and deck, all with a peak of Edgartown Harbor. 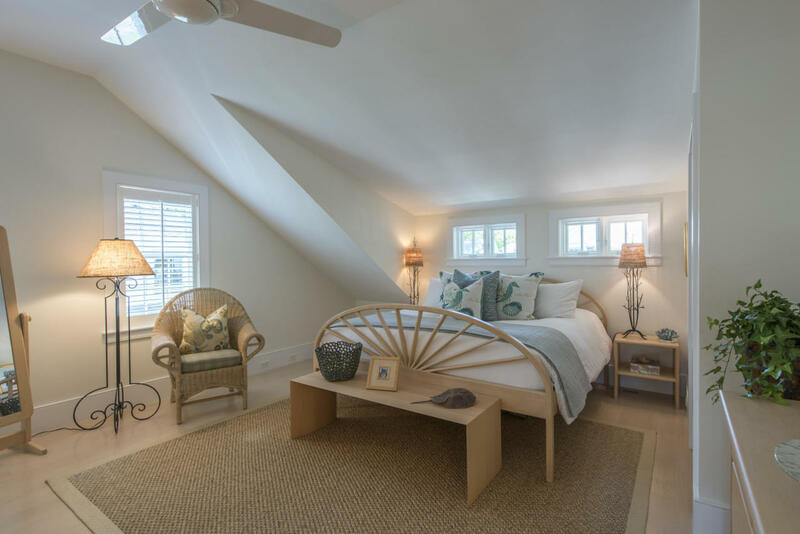 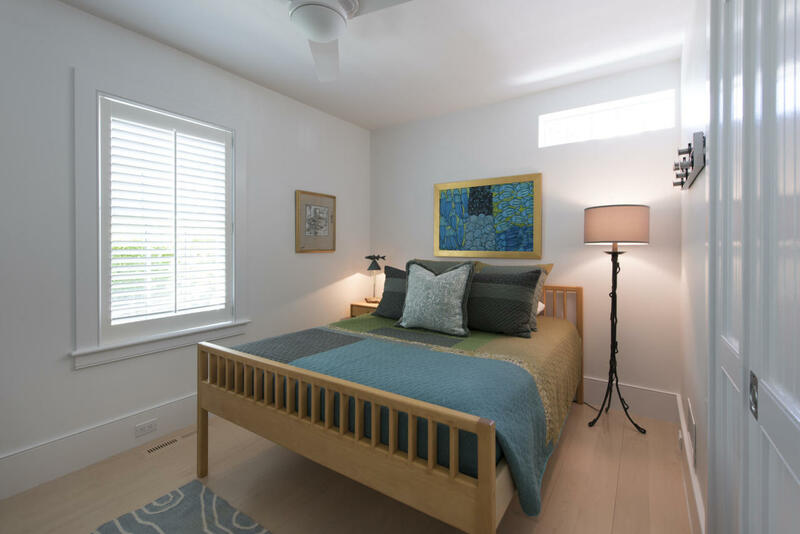 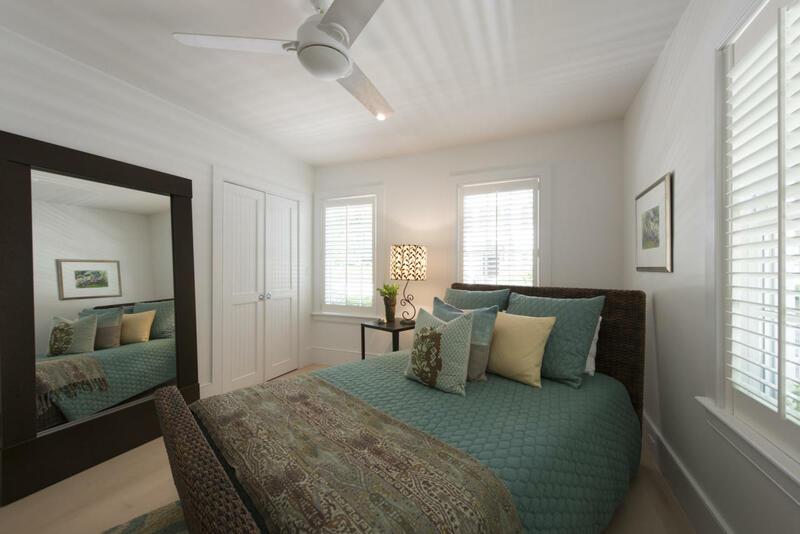 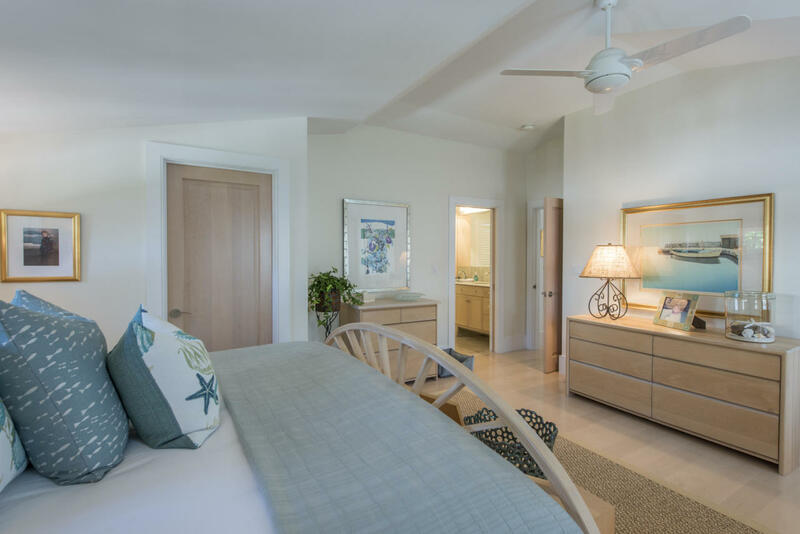 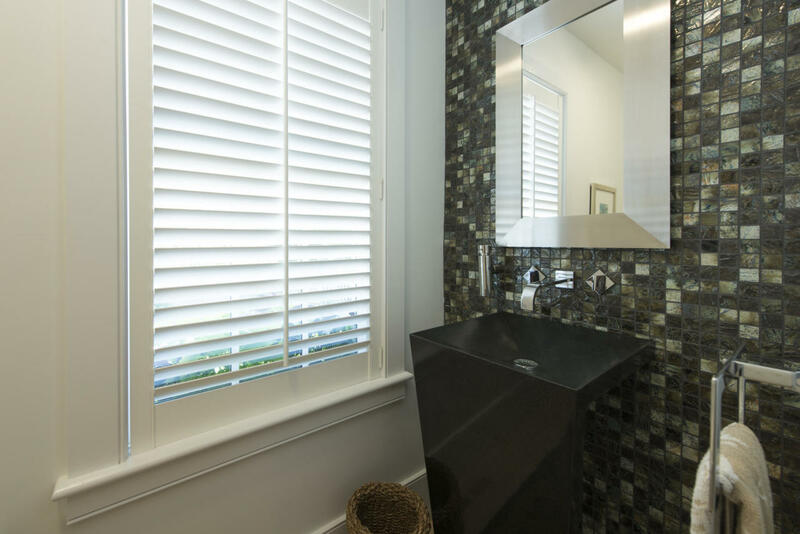 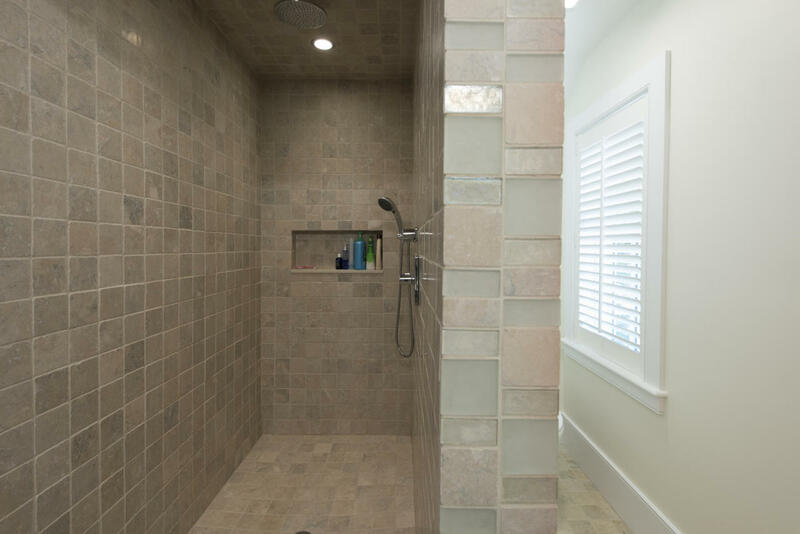 The balance of the 2nd floor features a luxurious master suite. 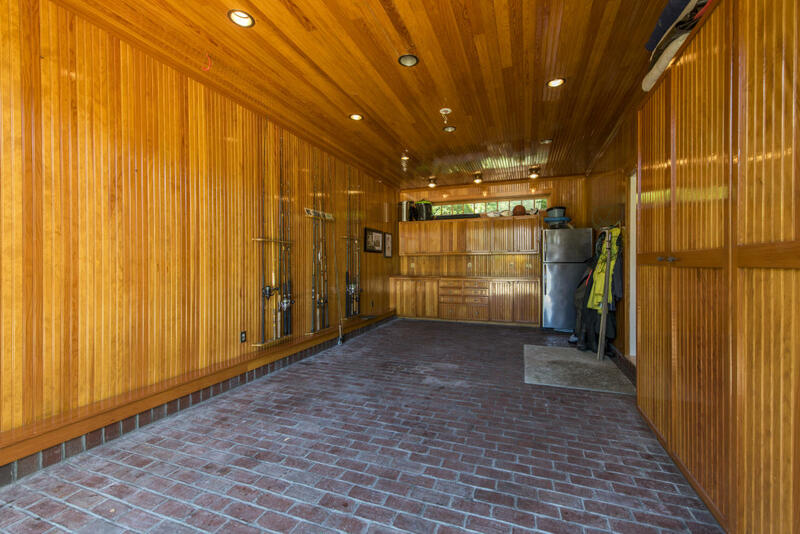 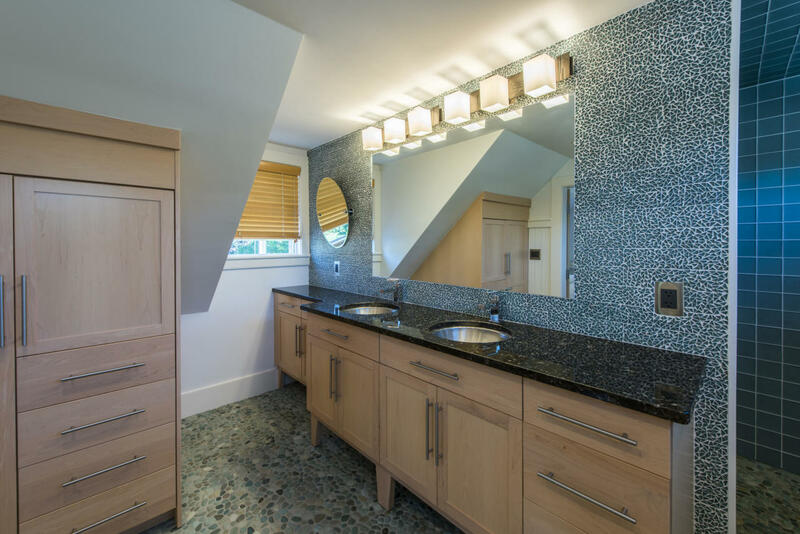 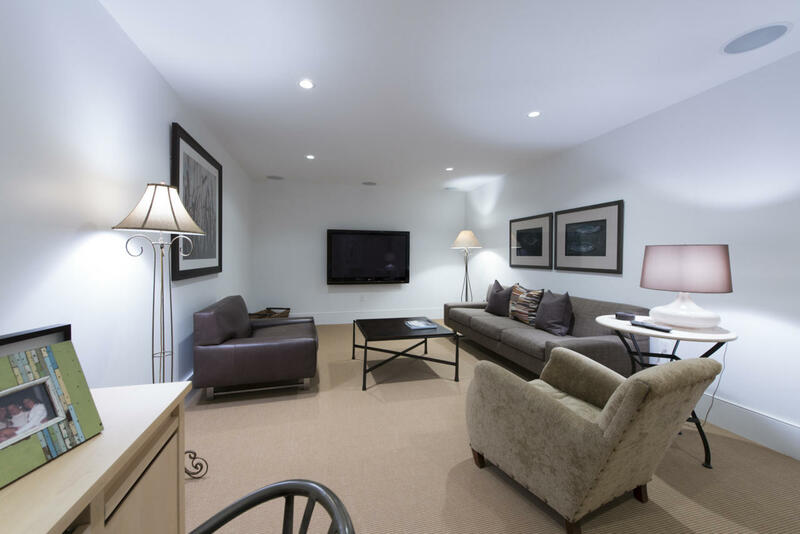 The full height, lower level has a media room, powder room, laundry and guest bedroom. 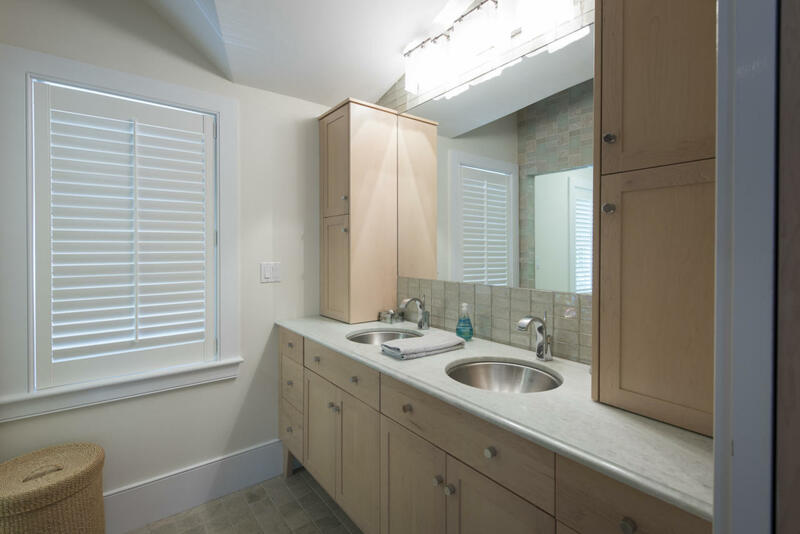 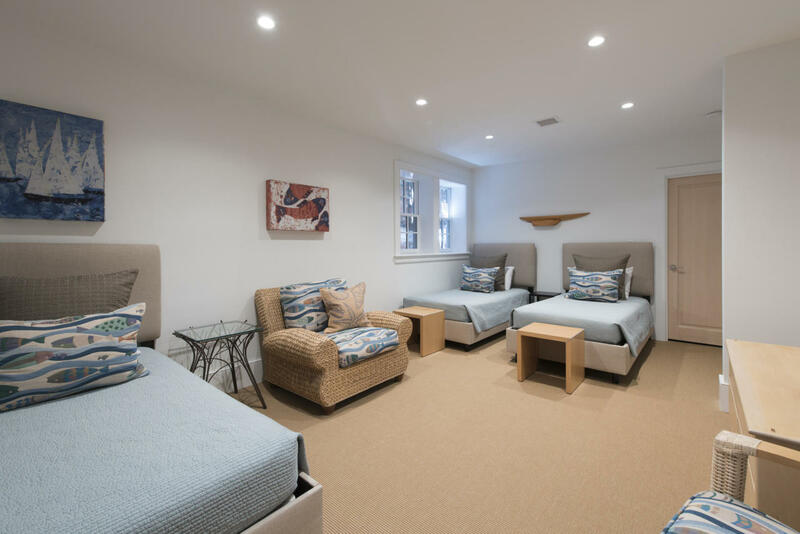 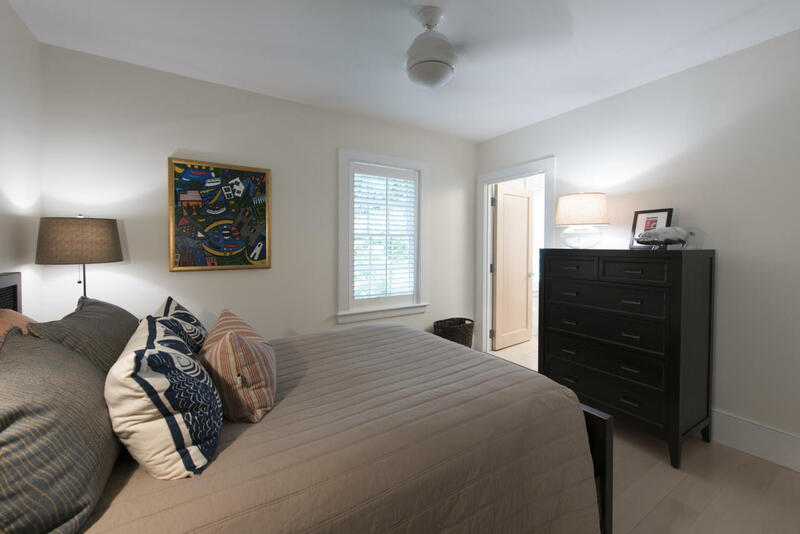 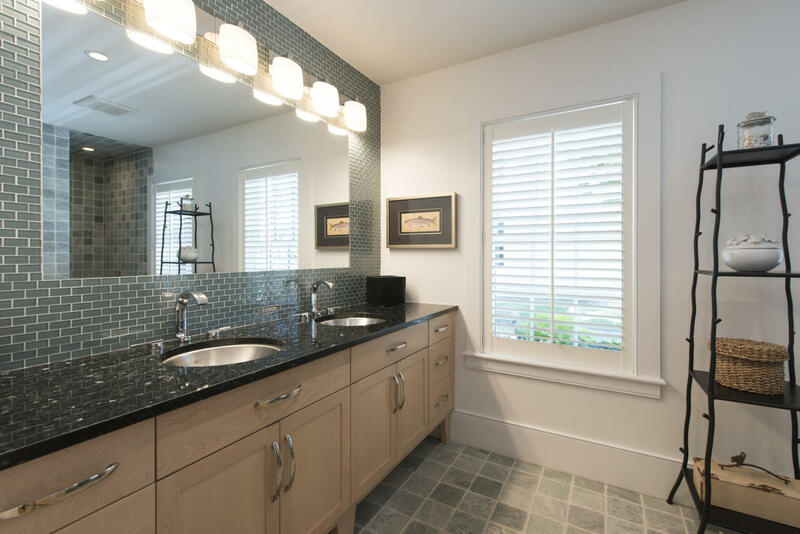 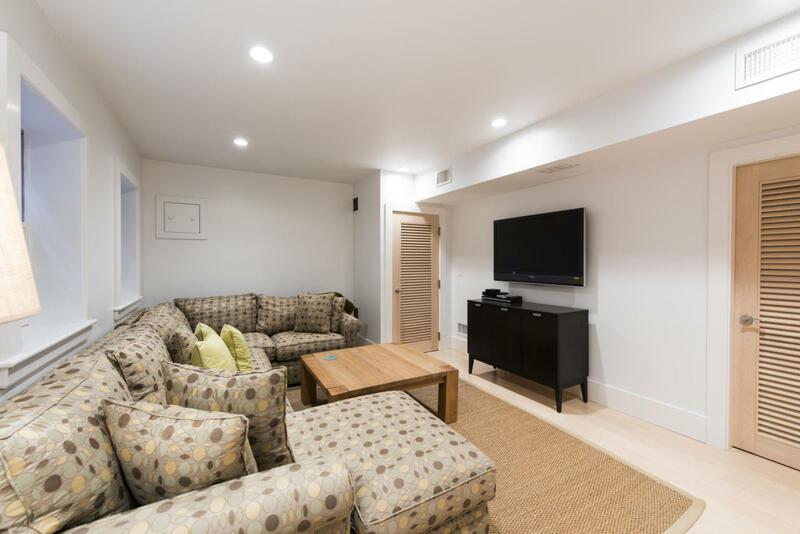 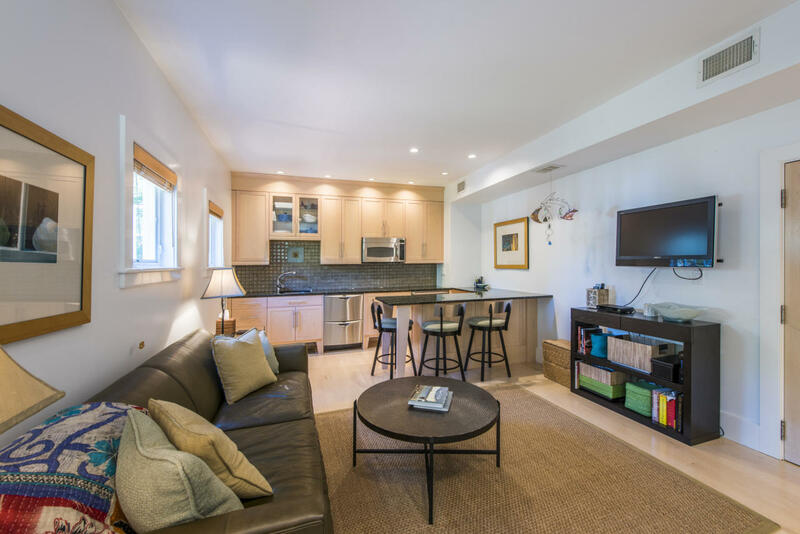 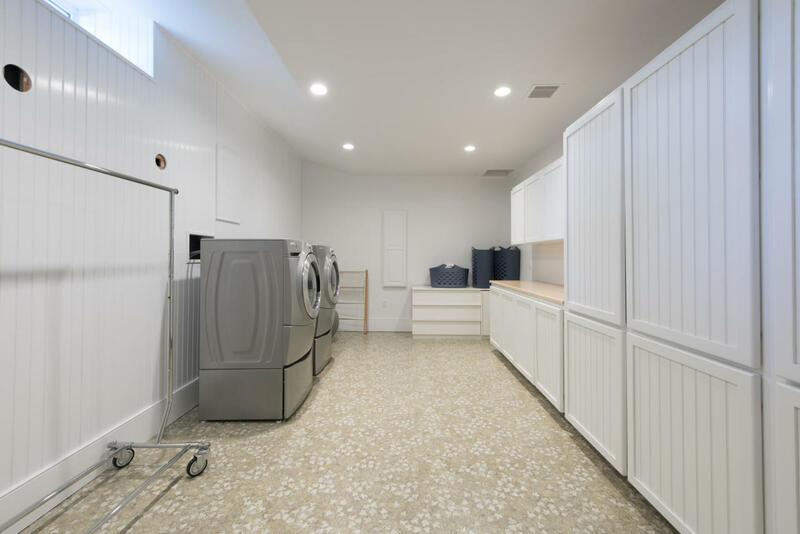 Complimenting the property is a garage with attached guesthouse offering living room, kitchenette, bedroom suite and a lower level with media room and powder room. 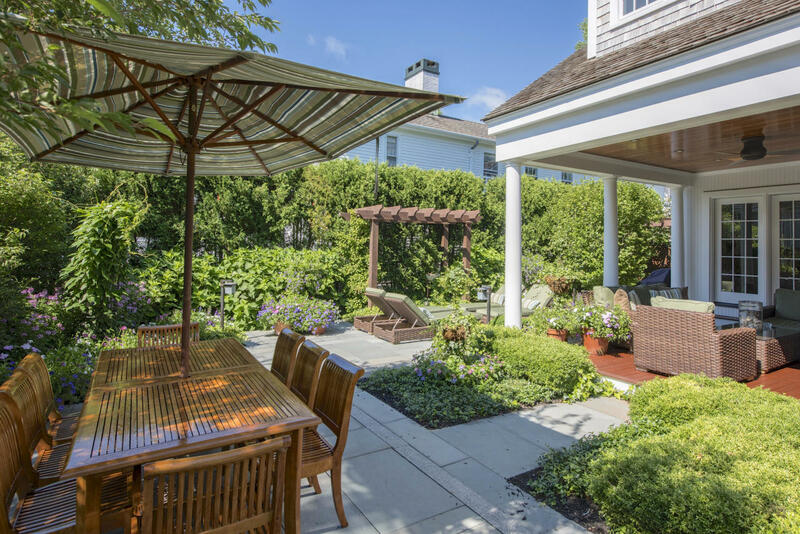 Lastly, the grounds are meticulously landscaped and provide several sitting areas, pergola, and 2 exterior showers.